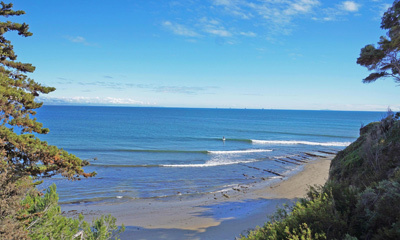 Leadbetter Beach is a locals beach located just west of the harbor in Santa Barbara. It’s right across the street from Santa Barbara City College so expect to see students here on sunny days. It’s an excellent wide sandy beach that is perfect for sunbathing.